$499 DOWN Guaranteed Approval!!! Start enjoying more time in your new ride and less time at the gas station with this Payless Certified Pre-Owned 2017 Hyundai Elantra GT. Price. Performance. Protection. This vehicle has it all, including a manufacturer's warranty. Beautiful exterior. Clean interior. 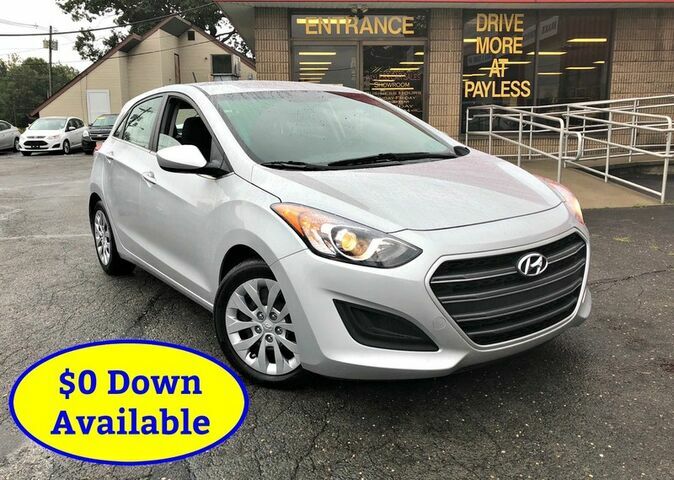 This Payless Certified Pre-Owned Hyundai Elantra GT is so immaculate it is practically new. The paint on this Hyundai Elantra GT is flawless; no scratches, no blemishes, no need to spend extra money on touch ups. Call now (732) 316-5555 This one won't last! The advertised price does not include sales tax, title, DMV fees, finance charges, prep fee and documentation charge of $289. All financing subject to lender approval, rates and terms may vary. Prices subject to change at any time. While every reasonable effort is made to ensure the accuracy of this information, we are not responsible for any errors or omissions contained on these pages. Please verify any information in question with your sales representative.